plastic when i mounted it on the card. What is a question that you would like Susan to answer? how many stamps do you own and how do you store them all. how do you like living in australia? Have you lived there your whole life have you been to the states and seen places like washington and new york etc. I never been to australia looks like a neat place to live. 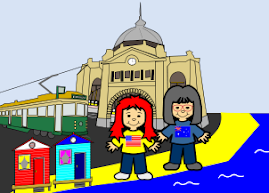 where is the best place to visit in Australia?